California is home to iconic places and canonical landscapes that draw people to the Golden State in search of the American dream. Some are wild or nearly so, like Yosemite, Death Valley, or stretches of the Pacific coast. Others are interspersed with urban settlement, such as oak woodlands of the Sierra foothills, or southern California’s coastal chaparral. Still others form the fabric of the state’s equally well-recognized cities and suburbs. California’s designed landscapes are no less iconic. Making a radical break from earlier traditions, California’s early landscape architects powerfully shaped American lifestyle ideals that drew people to the state. Framed by wisteria, shingled bungalows offered the opportunity of home ownership. With their sleek patios and biomorphic swimming pools, mid-century modern houses defined the new indoor-outdoor lifestyle. Corporate campuses graced by serene minimalist landscapes attracted pioneering scientists and engineers. Public gardens and plazas, featuring California native plantings, created generous spaces for social interaction. One of the most influential intellectual hubs for this new landscape architecture was the University of California, Berkeley, which began offering degrees in landscape architecture in 1913. 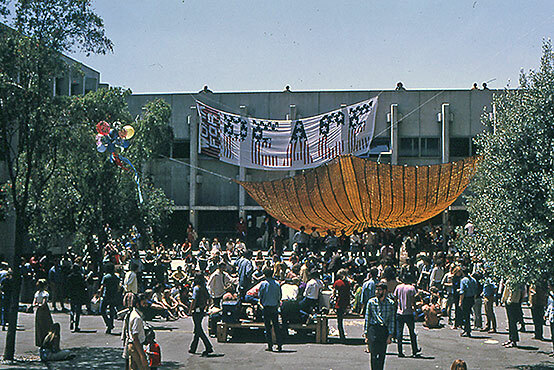 Berkeley’s alumni and faculty were leaders in the 20th century’s modernist landscape architecture movements, realized in projects ranging enormously by type and scale. Several were part of Telesis, the influential group of Bay Area progressive architects, landscape architects and city planners who argued for an integrated approach to environmental design. In 1959, Berkeley’s landscape architecture faculty joined the new College of Environmental Design. Housed in Wurster Hall with lively and diverse architects and city and regional planners during the social and environmental movements of the 1960s and 70s, the department’s faculty and students highlighted social and cultural factors in landscape architecture, participatory public design and community-based landscape projects, and the nexus between larger-scale landscape design and ecology. The role of landscape architecture as a social design practice, on the one hand, and as a branch of environmental planning, on the other, was increasingly recognized. 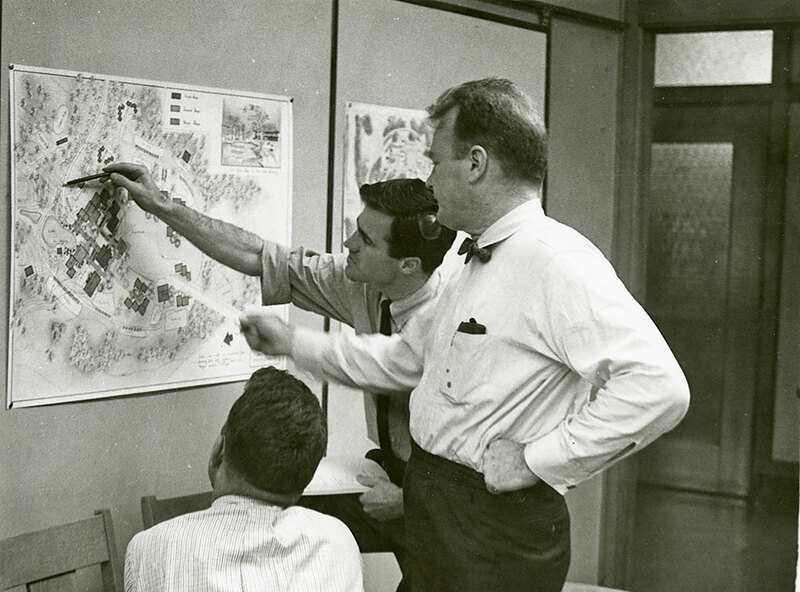 In 1997, the department officially became Landscape Architecture & Environmental Planning, dedicated to training students in the art of design, the science of ecology, and the pragmatics of planning practice. 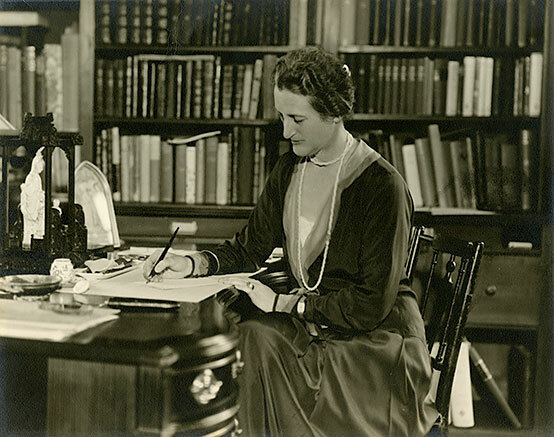 2013 marks the department’s centennial anniversary. This is cause for celebration, especially when those 100 years have such a rich record of creative accomplishment, design innovation, and social purpose. It is a history to be shared and rejoiced, as well as (in good academic fashion) interrogated and critiqued. 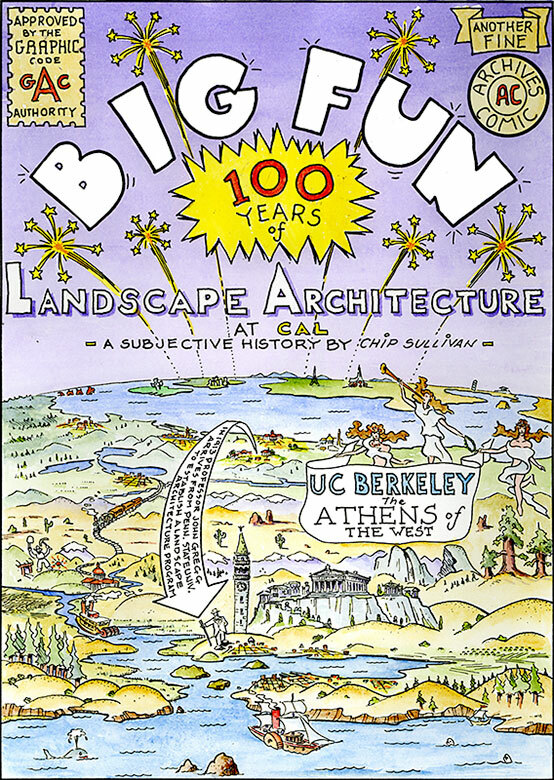 The new book, Landscape at Berkeley: The First 100 Years , offers a retrospective on the remarkable history of the Department of Landscape Architecture & Environmental Planning, through remembering the pioneering work of its faculty and students. But a centennial celebration is also an opportunity to take pause, and thoughtfully consider prospects. No academic institution can rest on its laurels. So, what should an academic department, whose historical mission has been to rigorously train landscape architects and environmental planners and to pursue significant research, take as its central orientation for the future? Berkeley’s department is addressing this question through deliberation, evolution, and radical moves. The faculty spent the 2012–13 year in discussions about strategic directions, while simultaneously building a new research center on resource-efficient communities, and recruiting extraordinary new faculty and students who will help propel the department toward its new goals. Their directions are ambitious, and spring from a recognition that climate change and the imperatives of urban sustainability, adaptation and resilience place their integrated approach to design and ecology at the center of planning for the future of cities and metropolitan regions. Urban landscape regeneration: The need to retrofit, reuse and restore obsolete or degraded urban landscapes is fundamental to urban sustainability. New methods of project delivery and construction based on new technologies, materials and sensors are critical for understanding the lifecycle, long-term maintenance, external costs, and values/services, of designed landscapes. Landscape infrastructure: Landscape infrastructure, from block to regional scale, is increasingly recognized as a crucial approach to contending with extreme weather events involving flooding and storm surges. Designed estuaries and wetlands, stream embankments, urban infiltration networks and even barrier systems require an ever-stronger integration of ecology and design research. Resource-efficient and healthy urban landscape design: Planning dense, walkable, mixed use urban places that minimize resource use, protect ecosystem services, promote health, and encourage walking and bicycling can reduce the urban ecological footprint. Creating such resource-efficient districts requires thoughtful analysis of density, innovative use of urban forest and green cover resources, strategies to integrate food production, and water/energy efficient street and open space design. Social and environmental justice: Although concerns about justice are deeply embedded in department culture, climate change is apt to exacerbate the vulnerability of disadvantaged populations and increase risks associated with temperature and weather extremes and associated pollution problems. Redesigned urban landscapes as well as environmental hazard planning are important ways to address these heightened risks. Designed landscape performance: The increasing use of landscape strategies to promote urban resilience and resource conservation implies the need to measure how they perform, in both social and ecosystem terms. This will require the development of new models and metrics to sense and track resource utilization, ecosystem service delivery, and social acceptance. 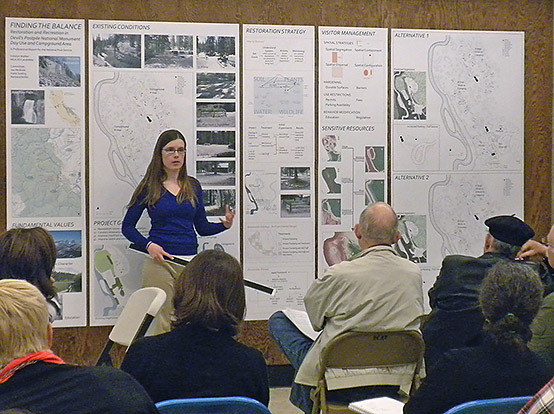 Collaborative practice: As urban governments, community organizations, and private firms around the world grapple with the implications of climate change, landscape architecture and environmental planning practitioners will play increasingly central roles — as members of large, multidisciplinary teams that work closely with local stakeholders. Collaborative practice and international collaboration will be central to the success of the field and its practitioners. 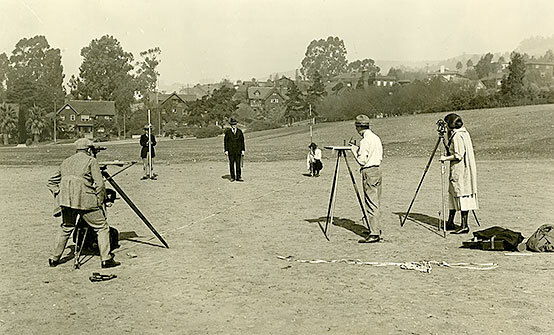 As dean of the College of Environmental Design, I am proud of the Department of Landscape Architecture and Environmental Planning’s first 100 years of achievements, inspired by its ambitious goals, and confident that we will witness even greater achievements in the century to come. Photos courtesy of the Environmental Design Archives, University of California, Berkeley. 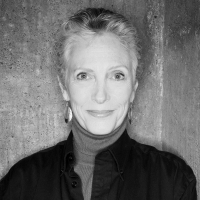 Jennifer Wolch is Dean of the College of Environmental Design at UC Berkeley, where she is also the William W. Wurster Professor of City and Regional Planning.